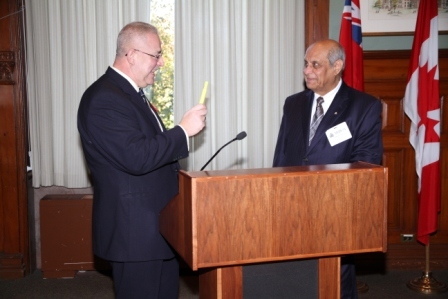 The 17th annual Eid celebrations at Queen's Park were held in Room 230 of the Main Legislative building. 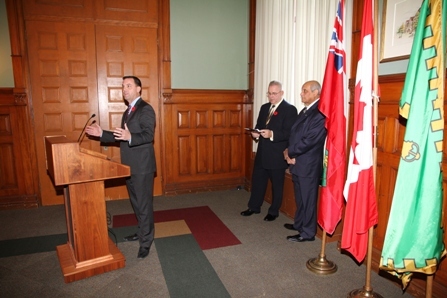 A luncheon was held so Members of Provincial Parliament could attend during their lunch break. 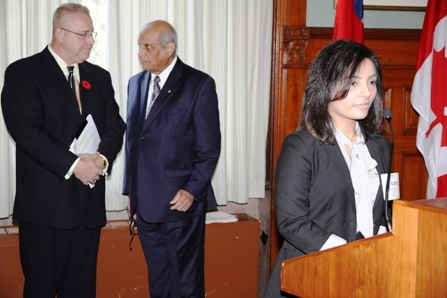 The event was sponsored by TD Bank and Scotiabank. Hon. 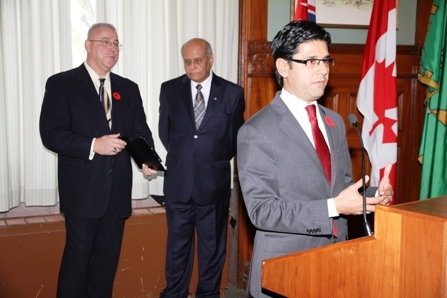 Yasir Naqvi, Minister of Labour brought greetings from the Premier. 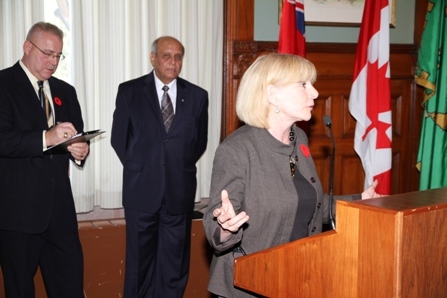 Mr. Tim Hudac, Official Opposition Leader and Ms. Cheri DiNovo from the NDP attended and also spoke. Rtd. Chief Armand La Barge was the Master of Ceremonies. 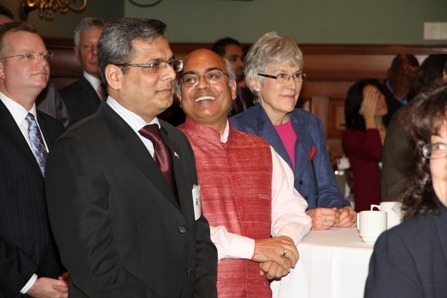 Mr. Scott Walker, Public Affairs Officer from the US Consulate, Mr.Nafees Zakaria, Consul General from Pakistan and Mr. Akhilesh Mishra, Consul General from India also attended.